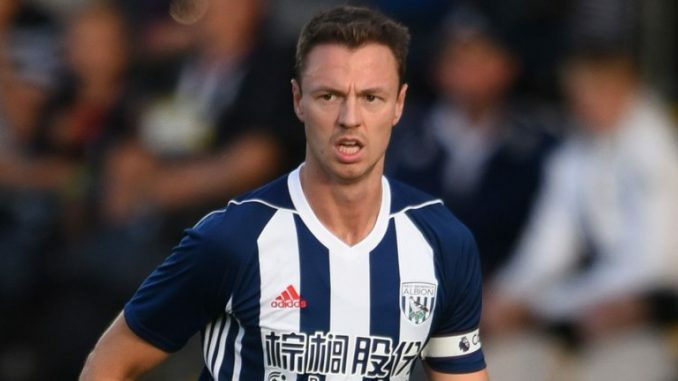 Arsenal head-coach Arsene Wenger claims that he is no longer interested in signing of West Brom centre-back Jonny Evans. The 29-year-old defender has proved to be a vital part of West Brom’s backline since joining them from Manchester United back in 2015. The Northern Ireland international has helped the Baggies to finish last season on the 10th place of the Premier League table. And his talents have not gone unnoticed with hosts of European clubs including Arsenal and Manchester City. Both Premier League giants were apparently keen on to strengthen their defensive end and tracked down Jonny Evans. However, West Brom’s asked £30million for his signature, and Arsene Wenger has refused to meet his demands. However, when asked if he would like to sign a 29-year-old defender in the future, Arsene Wenger said: “No. The 67-year-old French manager has also revealed that he tried to sign Evans’s current teammate Gareth Barry back in 2009 as a potential replacement for Patrick Vieira. The Frenchman said: “We were interested in him yes when he moved from Aston Villa to Manchester City.